Opened in 1992, we say at Fitness Showrooms that the people of the Village of Rockville Centre, NY and the surrounding towns of Baldwin, Freeport, Oceanside, Long/Lido/Atlantic Beach, Hewlett, Lynbrook, Garden City and into Brooklyn and Queens built the entire company we have today. They continue to support our business. They helped develop ALL our showrooms and our distribution center in the Hudson Valley with their loyal patronage. The company thanks you for this support! While this original showroom is one of our smallest at 2500 square feet, it is packed with selection as our President and Founder- who personally ran the showroom from 1992-2005- would not have it any other way. The showroom is now managed by Scott Yule, Fitness Enthusiast, Baseball fan and family man. Stop by and visit him anytime and he will get you in great shape and make you laugh! 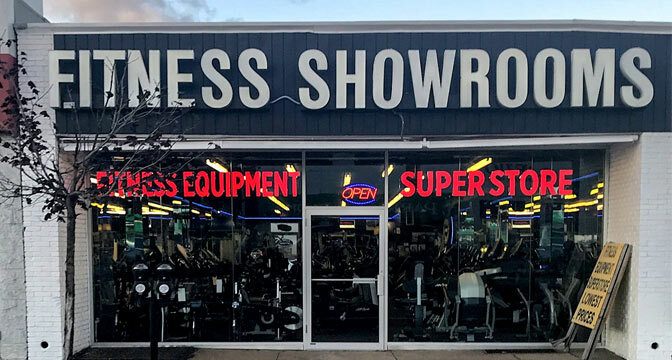 As our clients refer to the “Fitness Store on Sunrise Highway” you will always see over 20 treadmills, 30 cycles, 25 ellipitcals and 40 free weight and gym options as well as racks stocked with dumbbells and kettlebells ready for you to take home. Please visit!